Christine Sitwell will open the first of a series of talks by people working at the National Trust headquarters in Swindon. 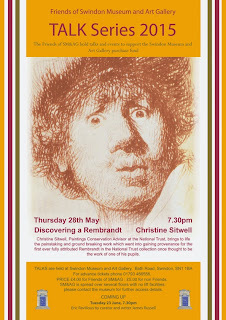 This talk by Christine is about discovering a Rembrandt; I asked for some background to Christine and the Rembrandt and have been given this and include it here as a taster before the talk. Christine Sitwell is a leading academic in the field of picture conservation: she received a MSc in Art Conservation from the University of Delaware/Winterthur Museum and was awarded a Smithsonian fellowship for an internship at the Tate Gallery, London. She is currently a Fellow of the International Institute for Conservation and chairman of the Historic Interiors Section of the Institute of Conservation. 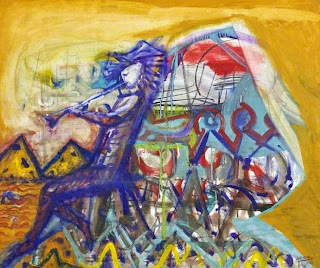 Christine's expertise is in paintings and frame conservation, as well as technical analysis of paint and paintings. Her work at the National Trust includes training staff in painting handling, care, conservation and hanging methods. She also provides vital advice on paint analysis which helps inform the National Trust's decisions on colour schemes for their historic houses. Christine is part of the National Trust's national specialist team. They are authorities in their area of conservation expertise, offering deep knowledge of particular subjects (for example paper conservation) or expertise across themes (such as coast or countryside). Many of the national specialists - like Christine - are of national or even international renown. 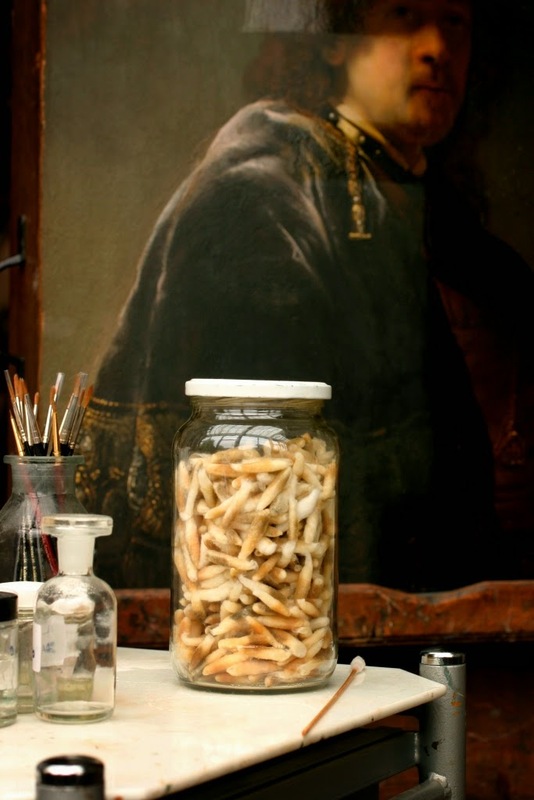 The National Trust cares for over 13,000 paintings which span the centuries. The paintings include not only works of art by great artists such as Tintoretto, Titian, Gainsborough, Turner, Reynolds (and now Rembrandt) but also paintings which record topographical views, interiors, seascapes, portraits, religious and historical scenes and also unusual paintings of prized cattle, sheep and pigs. Frames are also an important part of the collection and reflect the wide range of styles and craftsmanship throughout the past four hundred centuries. Paintings tell us a lot about our special places and the people associated with them. 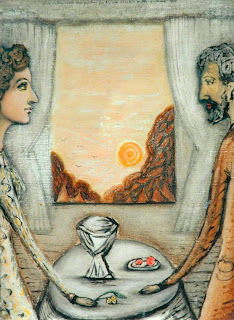 Often they reflect the wealth and collecting tastes of the owners, and even the way that paintings hang within the historic context of the rooms show changes in taste in presentation. 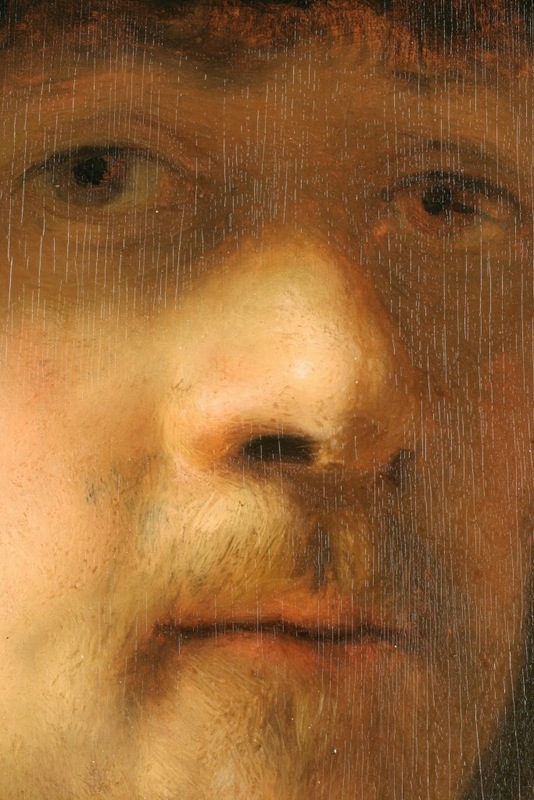 After undergoing eight months of painstaking investigative work at the world famous Hamilton Kerr Institute (HKI) in Cambridgeshire - and re-examination by the world’s leading Rembrandt expert - this now famous self-portrait, the original ‘selfie’, was confirmed as the first Rembrandt in the National Trust’s collection of more than 13,000 paintings. The project was a voyage of discovery, combining cutting-edge scientific analysis with academic review, to uncover the true provenance of this grand master's original 'selfie'. The authenticity of the painting had been called into question for nearly 50 years, with doubters believing certain areas of the painting were ‘not accomplished enough to be by Rembrandt’. 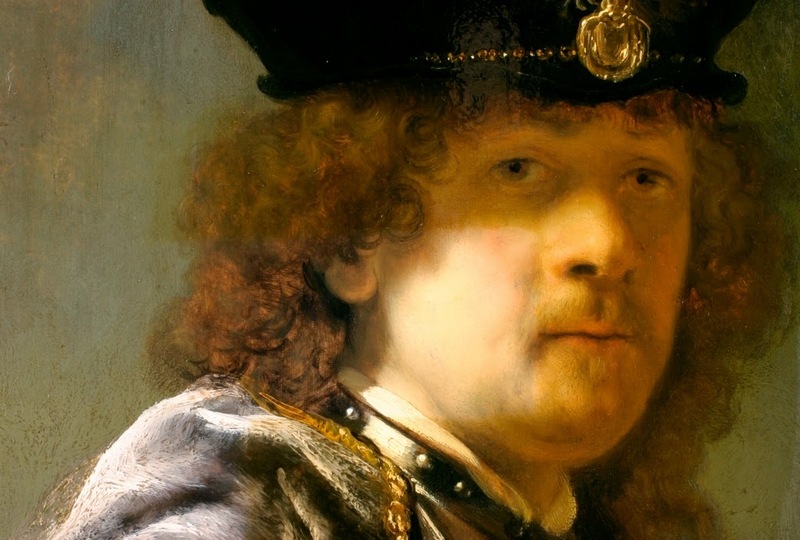 Following analysis and confirmation, the Rembrandt self-portrait uncovered has an estimated nominal value of £30 million. Of course, as the National Trust care for items for public benefit for ever, it could never be sold. The world’s leading Rembrandt expert, Ernst van de Wetering, said: 'Although I was pretty certain the painting was a Rembrandt when I saw it in 2013, I wanted to further examine it after cleaning and see the results from the technical analysis as this had never been done before. With all this additional scientific evidence, I am satisfied it is by Rembrandt.' Jez McDermott, property manager at Buckland Abbey, said of the Rembrandt ‘discovery’: 'this has been a fascinating journey for all of us involved’. Below, the poster used to advertise the talk which promises to be unmissable. Let's start with setting up the slide show for the talk, David and Ros Cuthbert seen here with Katie Ackrill helping with the technology; note the blank walls in the background, the next exhibition was in the process of being hung, but they hadn't reached that wall. I took copious notes during David Cuthbert's illustrated guide through Cecil Collins' life, two weeks on however, I am not sure I can do either of them justice, but here goes. David aimed to put Cecil Collins' life, 1908-1989, into a different context than for example William Anderson has done with his breathlessly enthusiastic version, in his biography of Cecil Collins. Cecil Collins went to the Royal College of Art in 1927, and drew 'Maternity' in 1929. 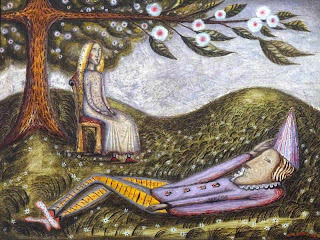 We also saw drawings his Mother had drawn on their living room walls, including a Blakeish quote- 'God has Flown from this World'. He married Elizabeth, daughter of a newspaper magnate in 1932. In 1935, he had his first one man exhibition. Below here he is with his wife in an autobiographical mood. 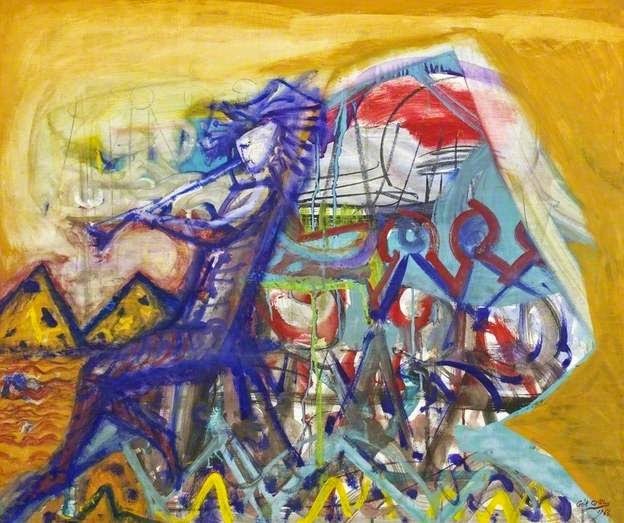 In the current exhibition at Swindon Museum and Art Gallery, 'Arts in Art' which runs until 12 September ,there are some Cecil Collins' drawings among lots of other wonderful pieces. On talking to them later, I discovered that Collins had been good friends with Ros and given her a drawing he'd done of a lion which David had forgotten to show to the audience. A fascinating insight into the life of Collins.